Below is a response from a U.S. Soldier in Afghanistan who received care package goods from the Airborne Angel Cadets of Texas this summer. 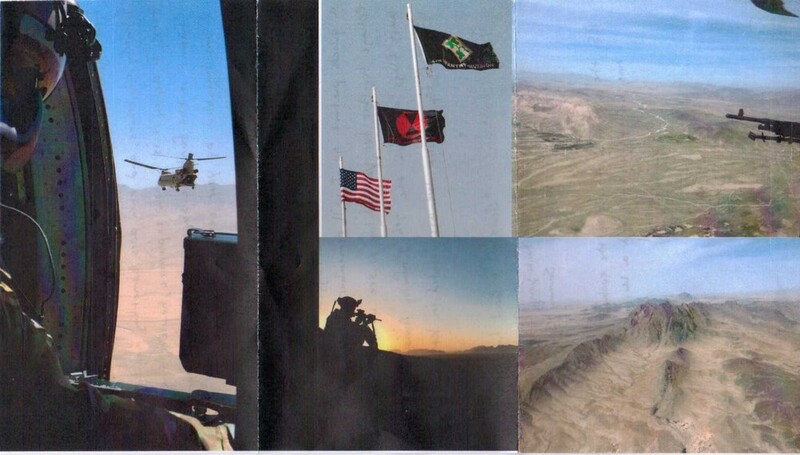 The Soldier specifically mentioned on the envelope, 'Care of Troop 1565' ("the picture I received on the cookies has an eye, a heart, and a U. Thanks again!"). We include letters and photos to the troops from many different groups. "Thank you for your outstanding support. It does my heart good knowing that we have young Americans that identify challenges, and then does something about it. 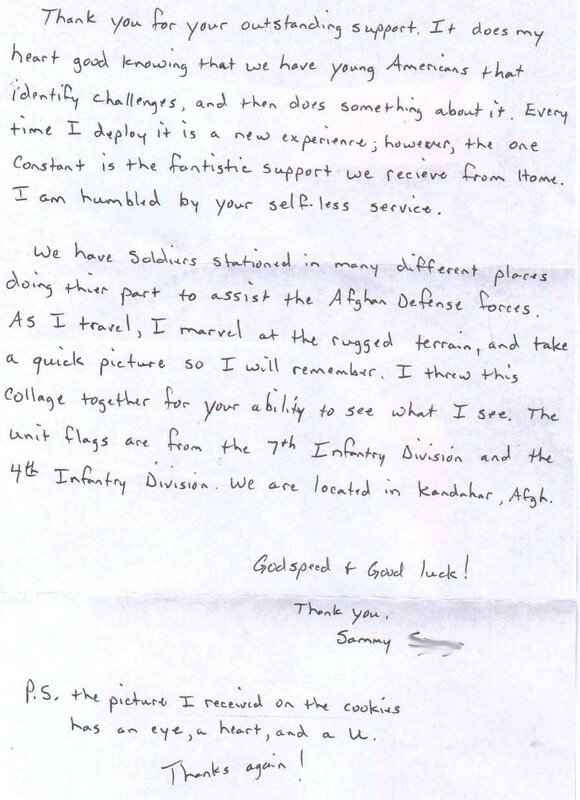 Every time I deploy it is a new experience, however, the one constant is the fantastic support we receive from Home. 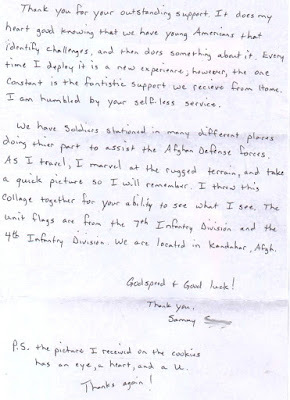 I am humbled by your selfless service."